Aerolineas Argentinas Aerolíneas Argentinas, formally Aerolíneas Argentinas S.A., Late that year, a second-hand Boeing 747SP was acquired from Braniff for . 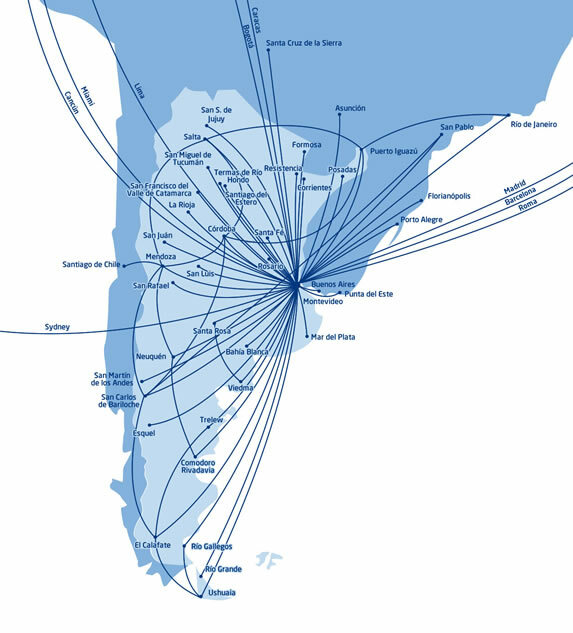 This meant no other Argentine airline was able to operate international flights, let alone the already created Austral. The carrier therefore became the flag carrier of the country. The same law also assigned Aerolíneas Argentinas a 50% share of the domestic market.